Rick Scott runs a mining business that was turned over to him when his uncle Harvey went into retirement. But Rick, injured in an accident, has been out of touch lately, recuperating in Acapulco. Suddenly, Uncle Harvey wants to regain control of the company, and he wants Rick out of the way. That�s why Harvey is paying Rick�s nurse, Joanna, to keep him �occupied� in Mexico�a situation Joanna likes (although she denies it vehemently and never acts unprofessionally), because deep down she�s in love with Rick. Rick�s brother tips him off that Harvey is up to something, and gets him to come back to Los Angeles by ship, with Joanna, for a stockholders� meeting. The ship arrives, but Rick disappears. When Joanna lands in jail after finding Uncle Harvey dying of blows to the head, Perry must come to the rescue. Anomaly: Although listed as Emmalou Schneider, Arline Judge�s character is called Snyder. Submitted by gracenote, 4/6/2011. Although credited, Ray Collins does not appear. Submitted by gracenote, 4/6/2011. Sightings Several favorite frequent faces appear throughout the courtroom gallery during this episode�s hearing. Distinguished Gentleman #1 boasts an excellent seat in front. Quiet Old Man #1, inconspicuously seated in the back row, makes it into several cutaways. Little Old Lady #1, also in back, is visible in a cutaway to defendant and is as respectably dressed as ever. Submitted by gracenote, 4/6/2011. +Before his courtroom appearance, Distinguished Gentleman #1 is seen on the Cruise ship and at the boat dock walking behind Harvey's taxi. We see Distinguished Lady #4 in court on the back row behind Burger. Submitted by BigBill767, 6/17/2016. +This is old time movie actress Arline Judge's last screen appearance, even though she was only 52 at the time this was filmed and she lived 10 more years. Submitted by PaulDrake33. 5 January 2015. 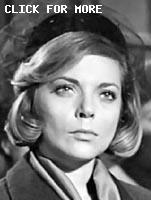 Barbara Bain is best known for playing Cinnamon Carter on Mission: Impossible and also as Dr. Helena Russell on Space: 1999 where in both roles she starred with her real life husband Martin Landau. Submitted by HamBurger 9/24/2016. Viewers will remember Whit Bissell as a regular on Bachelor Father and The Time Tunnel. Submitted by HamBurger 9/24/2016. Richard Shores� incidental music for this episode is especially entertaining and festive. Submitted by gracenote, 4/6/2011. Wardrobe Incongruity In the opening scene, Joanna Monford, dressed in her nursing whites, walks across the patio and her hard-heeled shoes clatter against the floor. Her nurse's shoes should have been soft-soled. jfh 05Feb2018. Is it a rural California thing to greet everyone who comes to visit with a rifle or a shotgun? Submitted by gracenote, 4/6/2011. Rare event happens 39 minutes in. Perry doesn�t find a parking spot right in front of the courthouse and has to walk. Submitted by Eric Cooper, 18 August 2011. It looks like Paul's T-Bird took Perry's regular spot. + Another rare event in this episode: Burger calls Perry as a Witness for the Prosecution and the judge rules it permissible. This is an onerous day for Perry! Were the Halloween Spirits out early (aired Oct 29)? A nice touch: Burger concludes his examination of witness Mason with �Your witness, Mr. Mason.� Added by Gary Woloski, 1/18/12. PM reuses the same walk-in-to-the-courthouse footage (same location of cars, people, etc.) 3 episodes later, in #220 Tragic Trophy. But in TT Perry no longer has his white pocket handkerchief when he's inside the courtroom. Submitted by (lowercase, with a comma and period) masonite, 12/12/12. Lucky Don Anderson gets to hold Lisa Gaye. Submitted by 65tosspowertrap, 12/21/2013. ++ The young double-shuffle: And helped Lisa to hold the shuffleboard cue while she was dressed in her body-hugging short short shorts. lowercase masonite, 4/13/16. Priorities: Rick the swain and Joanna the swan, while playing musical chair on the deck of the cruise ship (13:09 onward of the 2012 Paramount DVD): "Joanna, will you please marry me?" "What?!" "I love you. (Rick glances off to the side.) I-I want you to be my wife, now." "Rick, what's the matter with you?" "Hold still, darn it. I'm proposing. Now, I know there's a lot to explain." "Please stop it. It-it's the wrong time of day for this..." "Marry me, Joanna!" "...Besides, I promised the ship's doctor I'd help with an operation tonight." lowercase masonite, 4/13/16. This is the first episode I recall where the murdered person had no negative personalities issues. The usual murder victim was despised by many. Submitted by Perry Baby 11/1/16.